New Year … New Frontiers … New Discoveries … New Horizons! 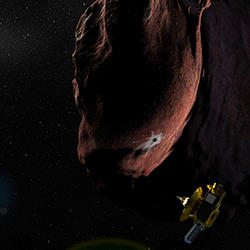 NASA's New Horizons spacecraft continues to explore the farthest reaches of our solar system. Its flyby of the Kuiper Belt object nicknamed "Ultima Thule," with closest approach set for 12:33 a.m. EST on Jan. 1, 2019, will be the most distant planetary encounter in history. What will we see? What will Ultima look like? Make your prediction and submit a scanned drawing or photo of your work to the New Horizons team. All forms of art – drawings to paintings to 3D printed items – are welcome. 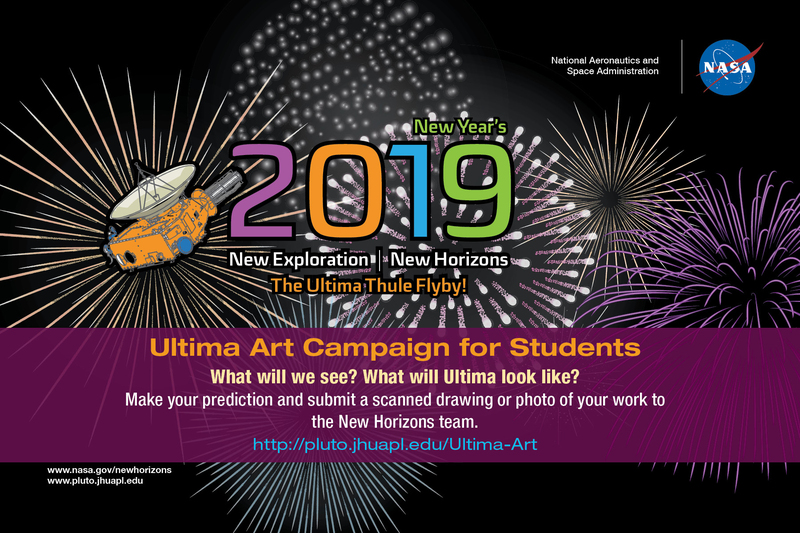 Your impression of Ultima might be featured on the mission's website, Facebook page or Twitter feed, and maybe in our live New Year's Eve flyby events! Students from kindergarten through 12th grade are encouraged to participate with a great imagination and desire to explore! A special thanks to SciArt Exchange for its help with the contest! Thank you for your interest! This promotion is now over. New Horizons is the first mission to explore Pluto and the Kuiper Belt, a vast region of icy, rocky mini-worlds just beyond the giant planet Neptune. 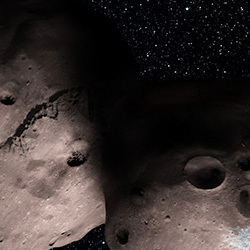 The New Horizons spacecraft – which made a historic flight by Pluto in July 2015 – is now venturing deeper in the Kuiper Belt, observing a diverse range of Kuiper Belt objects (KBOs). The main event of this extended voyage takes New Horizons one billion miles (1.6 billion kilometers) beyond Pluto for a rendezvous with a KBO called 2014 MU69 — nicknamed Ultima Thule — likely the most primitive object ever visited by a spacecraft, on Jan. 1, 2019. The Kuiper Belt is a relic from our solar system's origin that preserves a record of the processes and materials that shaped our planetary system. We once thought that Pluto marked the "end" of our solar system; but Pluto is a beginning — a gateway to a "third zone" of worlds beyond the terrestrial planets and gas giants. In fact, the dwarf planets in this zone outnumber the larger planets of the solar system! Scientists have wanted to explore the Kuiper Belt for decades. Sending New Horizons into the Kuiper Belt is essentially NASA's version of an archaeological dig into the earliest history of the solar system — a close-up look at the remnants of the ancient planet-building process whose pristine chemistry has been held in a "deep freeze." Ultima Thule — officially named 2014 MU69 — was discovered by New Horizons team members in 2014 using NASA's Hubble Space Telescope; it orbits more than four billion miles (6.5 billion kilometers) from Earth. We know very little about this primitive KBO aside from its orbit, its color—which is likely redder than Pluto—and its approximate size. 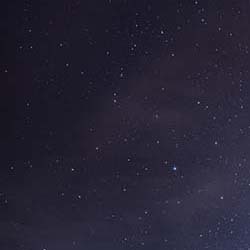 In July 2017, Ultima passed in front of a star. A handful of telescopes deployed by the New Horizons team in a remote part of Argentina caught its fleeting shadow—an event known as an occultation—and captured important data to help the mission team plan the flyby and understand the size, shape, orbit, and environment around Ultima Thule. From these observations, scientists suspect Ultima could be a long single object, or even two bodies orbiting very close together. It also appears to be no more than 20 miles (30 kilometers) long, or, if it is a binary, each component is about 9–12 miles (15–20 kilometers) in diameter.